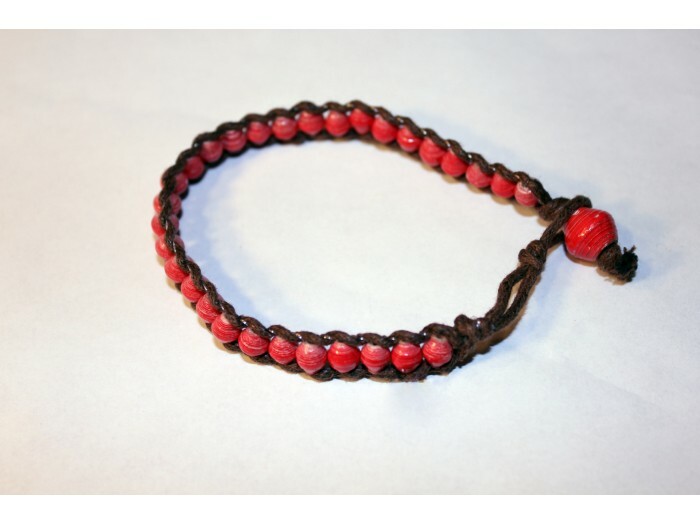 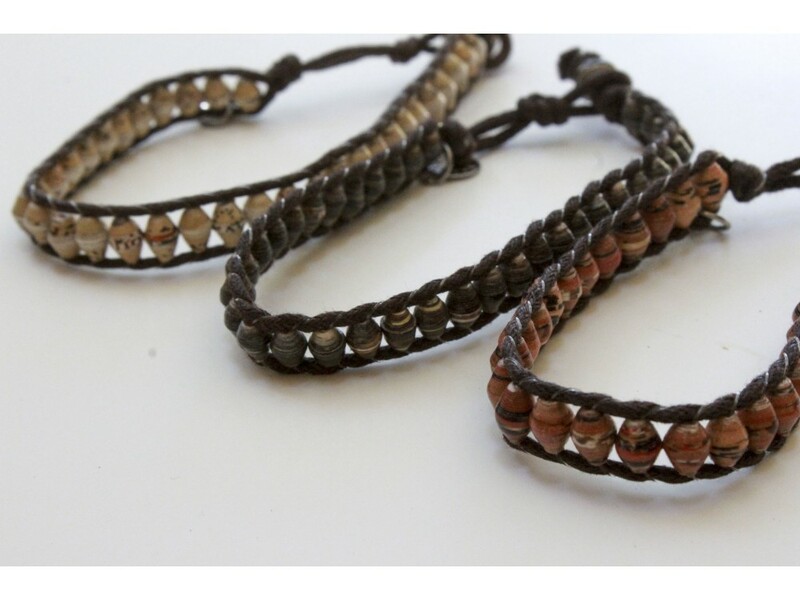 Ember bracelet is adjustable in length with two different settings. 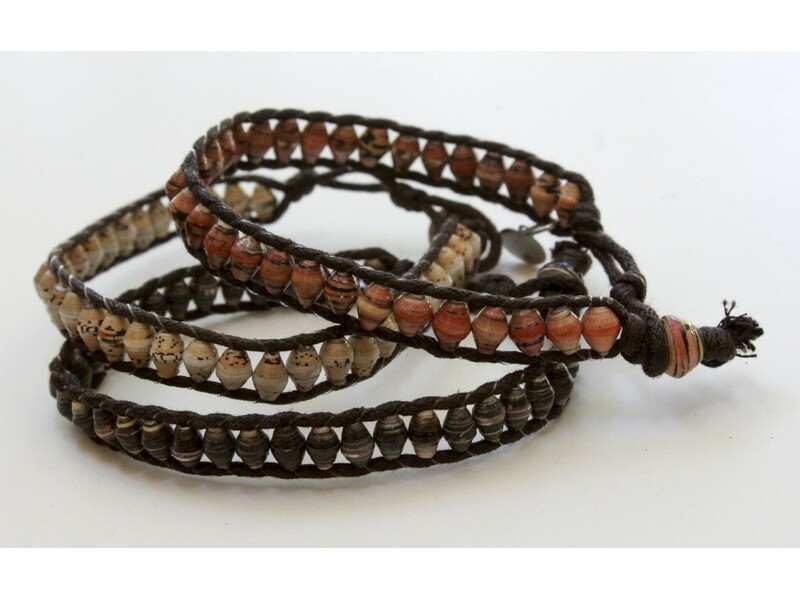 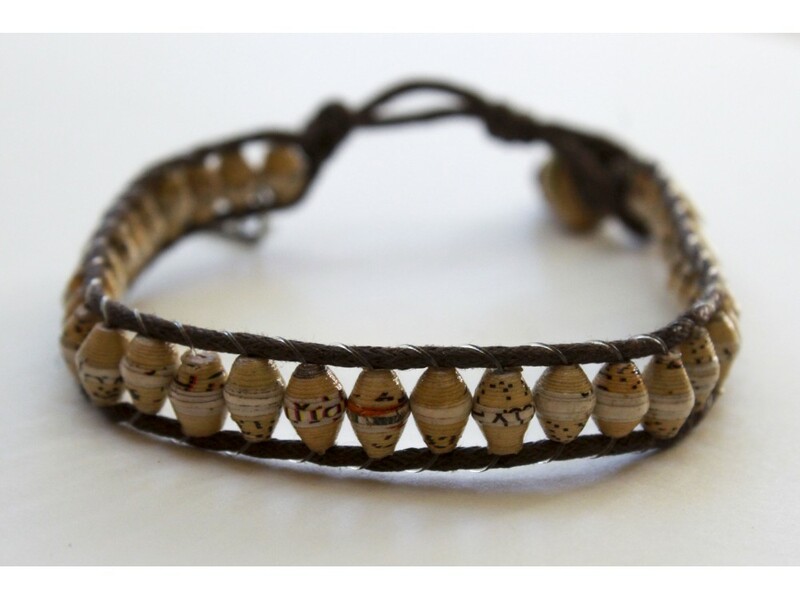 Each bead is handmade out of recycled paper by the Kirabo Group located in Kampala, Uganda. 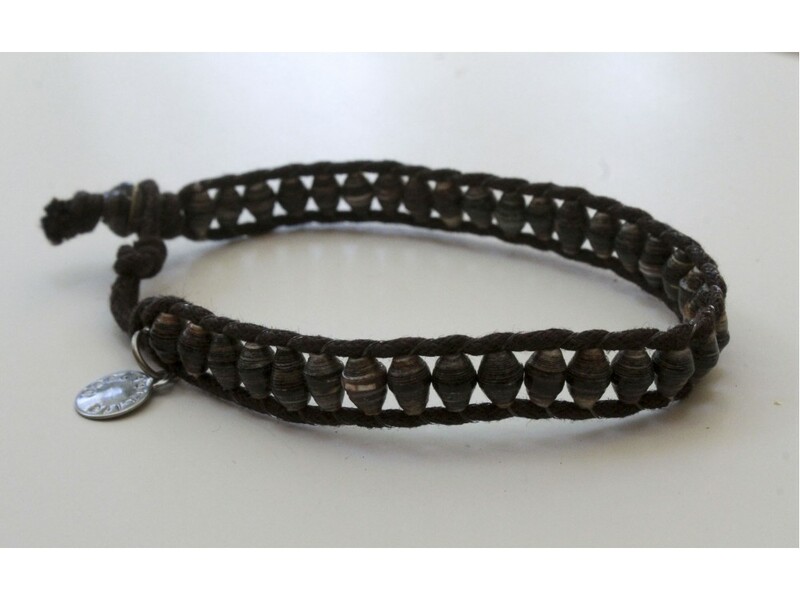 7 - 9 inch adjustable length.